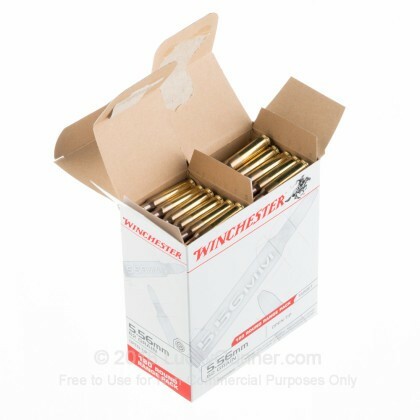 Load up on superior training ammo with this 180 round training pack by Winchester. 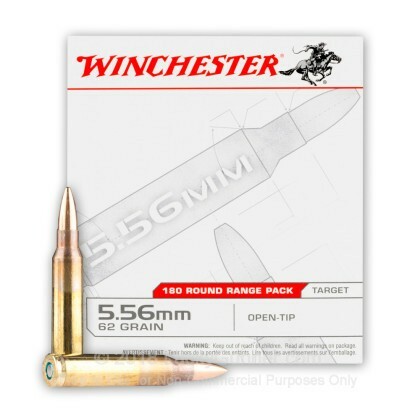 This 5.56x45mm ammo is well suited for your AR-15 or any firearm that is chambered for 5.56 NATO. Some rifles chambered in .223 Remington can also fire this ammo; check with the manufacturer if unsure. 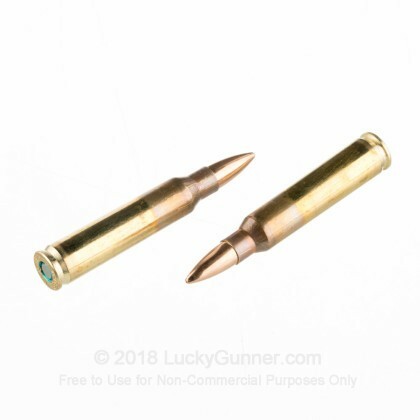 The ultra-accurate open tip 62 grain bullet is a renowned bullet type for range training due to its impeccable weight distribution and external ballistics. 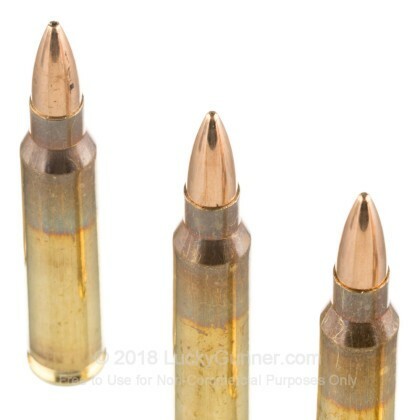 The projectile zips out of the barrel at 3060 fps and 1289 ft/lbs of muzzle energy. This training ammo was designed with the high-volume shooter in mind; the copper jacket of the bullet reduces lead fouling in the barrel, keeping your gun cleaner and minimizing firearm wear and tear over time. 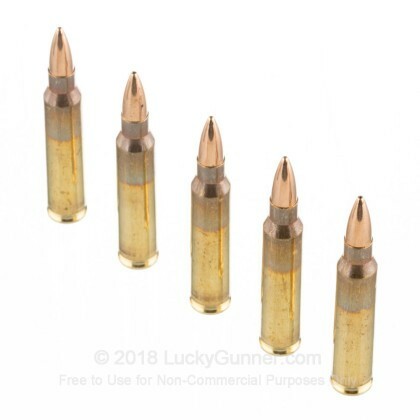 These centerfire cartridges are Boxer-primed and fitted into reloadable brass casings. 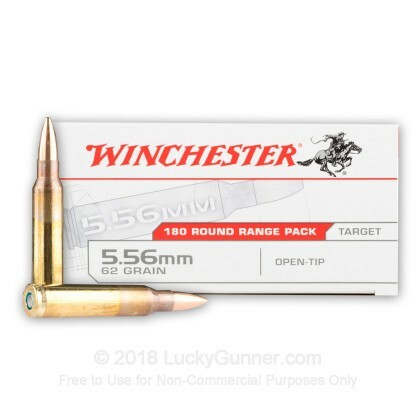 Winchester has been manufacturing ammunition and firearms for over 150 years, and they strive to make top quality ammo available at an affordable price. Improve your marksmanship and order your 180 round case of this 5.56X45mm ammo today!